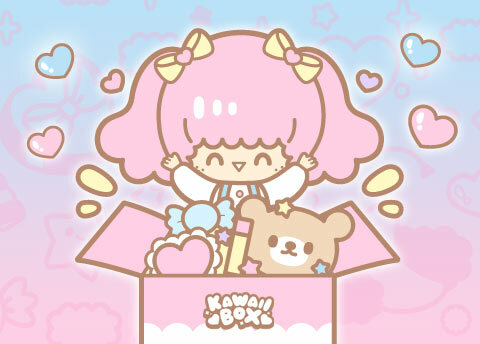 Take a peek at what kawaii sakura things were included in the March Kawaii Box! 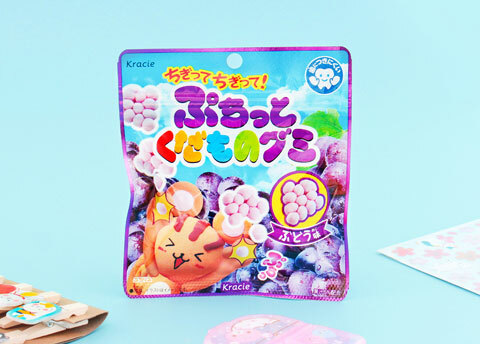 These soft and yummy foamy candies are shaped like grapes and each piece can be pulled apart from the “stem” before eating. Just like real grapes! Neko Dango is a mix between a cute cat (neko) and Japanese sweet dumpling (dango). 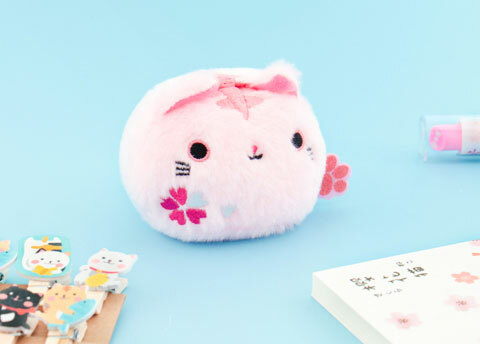 Take a moment to pet its super soft sakura pink fur and it will purr with happiness! 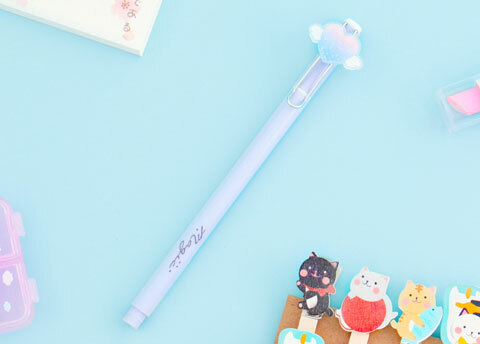 Write a cute note to your loved one with this pastel colored kawaii pen! It’s easy to attach to your journal or notebook using the handy clip. 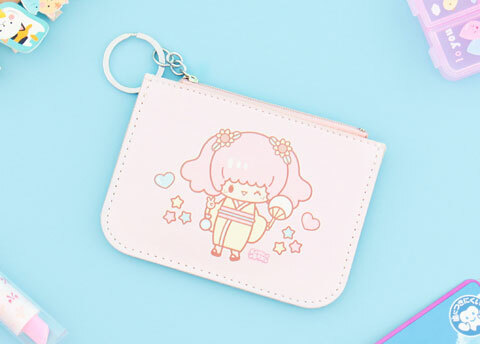 This handy card purse is decorated with a picture of our cheerful mascot, Aiko dressed in a traditional kimono! It’s perfect for storing your money as well as travel or access cards. 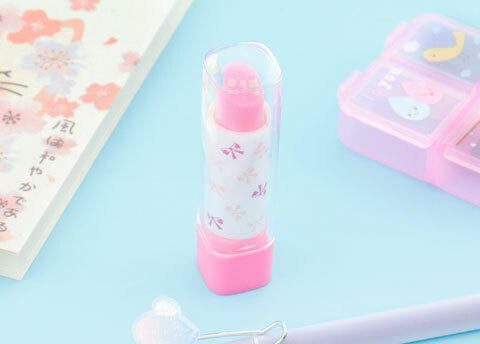 It looks like a cute lipstick but works like an eraser. Slip it into your pencil case and make correcting mistakes more fun! Showcase your favorite photos, cards or artwork by hanging them on a string. 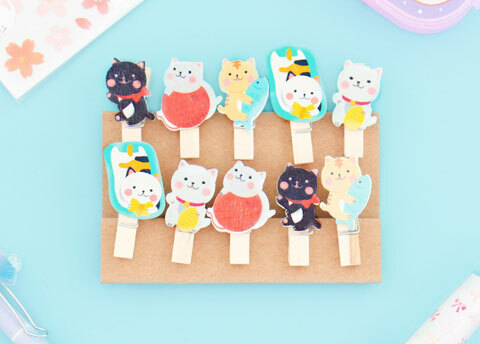 Such an easy way for kawaii-fying your room! 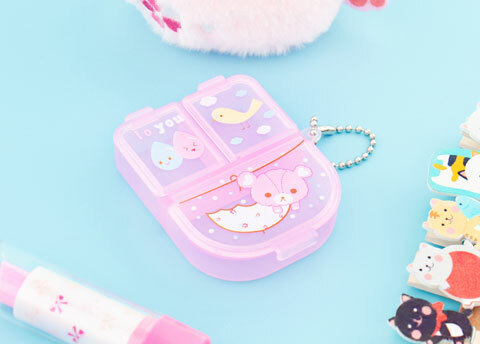 This cute pill box can be used for so many things! Use it not only to keep your medicine and vitamins organized, but also for storing jewelry or or other small items. 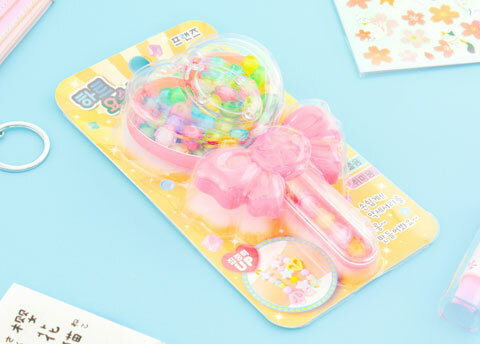 This magical wand is filled with colorful beads which you can use to create your very own kawaii necklace or bracelets! 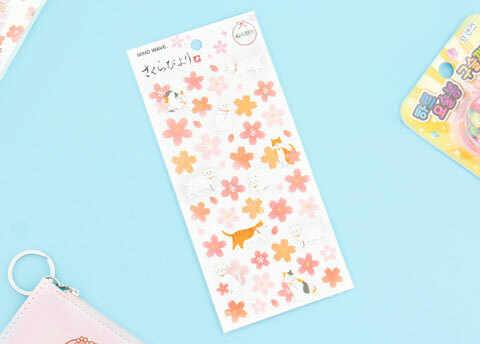 Welcome spring and the beautiful blooming cherry blossoms together with these cute animals! 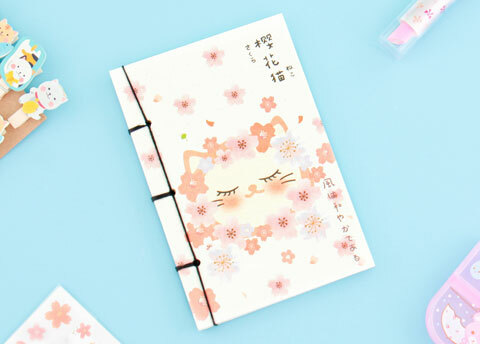 These cute traditionally bound notebooks are perfectly sized for journaling and decorated with a cute cat enjoying the sakura season!